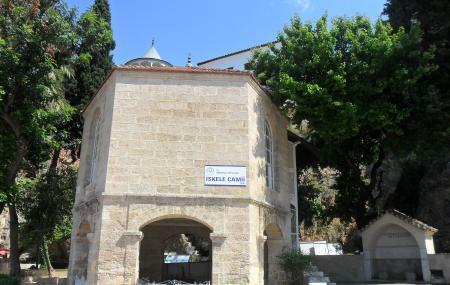 Located in the old Yacht Harbor Area in the city of Antalya, Iskele mosque is a little demure mosque that has a mysterious history attached to it. There is an only vague idea as for when it was constructed. The only information is about its last renovation done during the Inner Bailey Restoration Project. The mosque was built in the traditional 19th-century style with its stunning marble minarets and columns. Its ideal location near the sea only adds to it giving the visitor a spiritual feel. The place is not only visited by spiritual followers but historians and architects as well who come here to study its walls and get a better understanding of the religious and cultural nuances of Turkish history. How popular is Iskele Mosque? People normally club together Concorde Resort And Spa and TerraCity while planning their visit to Iskele Mosque.